Britain's housing market has stumbled since the 2016 Brexit referendum with most measures of prices showing only minimal growth in recent months. But some data has suggested that the slowdown stabilised in early 2019. 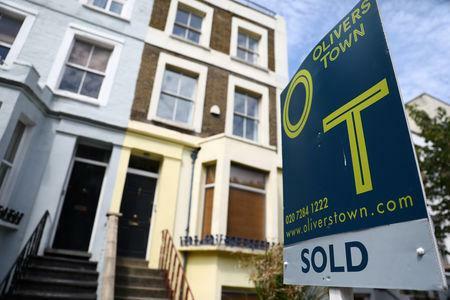 "We are not anticipating an activity surge, but maybe a wave of relief that releases some pent-up demand to take advantage of static property prices and cheap fixed-rate mortgages," he said, noting visits to Rightmove's website hit a record high in March. Rightmove's data is based on property advertisements on its website, which it says accounts for 90 percent of residential property on sale in the United Kingdom.